Wow! EDTC300 just flew by. Anyone else agree? Crazy! I don't think I'm ready for this class to be over, but I sure am ready to fully enjoy summer (and work). When creating my summary of learning project I had so many ideas - almost too many actually. So when it was time to put my ideas together, I really didn't know how to start or what to do. I continued to brainstorm, but creating a completely online presentation was much harder than I thought it was going to be. Now that I know all of these new cool apps and add-ons I assumed this was going to be a breeze. I was very wrong. Not only is this my last project for this class, its actually my last summative project for my undergraduate degree, which made me feel the pressure even more. This really pushed me to try something out of the box, but I just didn't know what to do. Before I would of just stuck to a PowerPoint or a google slides with audio over top. This was my comfort zone. It really took a lot of thought and procrastination to end up where I did, yet here we are. 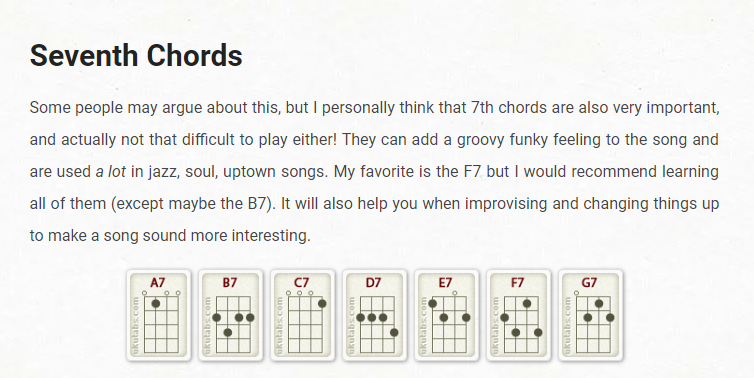 I wanted to make sure to include so many of the important things I learnt through this class - however, I thought this could easily be done in a blog post. I wanted to do something that focused more on the process and creative rather than mostly informative. 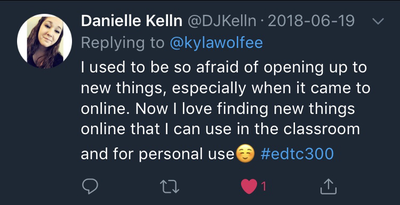 In my video I focused on overcoming zoom, digital identity and the Professional/Personal Learning Networks (PLN's) encouraged to partake in the class, and lastly focus on getting over the hesitations of using technology in the classroom. 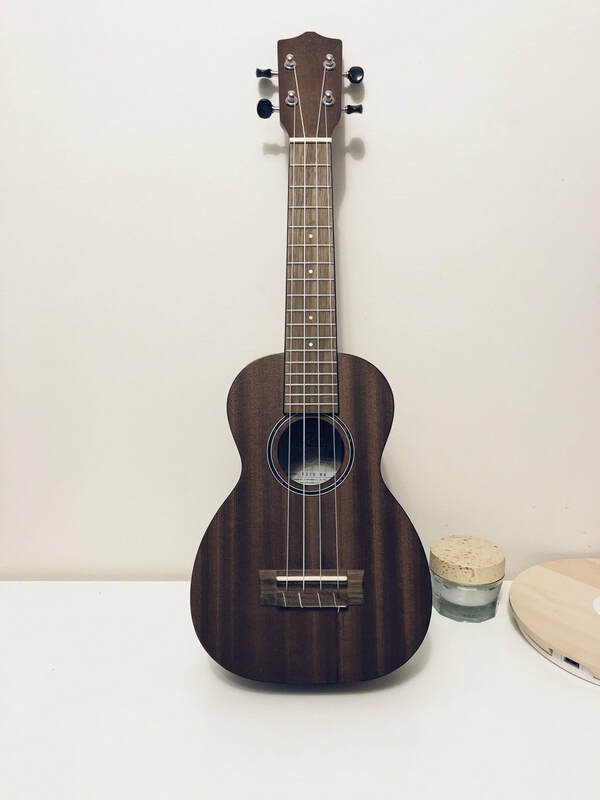 I also got to incorporate my #learningproject as well and attempt to 'sing' AND play the ukulele at the same time, which is still a little too advanced for me. ​Somehow through all of this I landed here... Have you ever seen Dora the Explorer? Well I have. Now after all of this.... It's time to enjoy my summary of learning project! 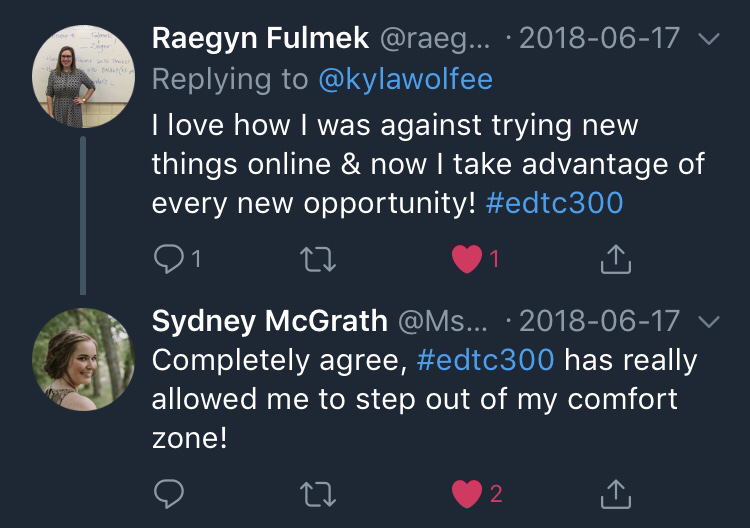 I don't think this video expressed this enough, but I truly did learn so much in EDTC 300 and I look forward and excited to bring technology into the classroom. Zoom - I had to get over zoom bridge by signing up and realising that this is an awesome platform for online class and so easy to participate. Twitter - I had to (re) learn how to use twitter to enhance my PLN. I thought I was going to hate it and feel forced, but I have now come to love it. 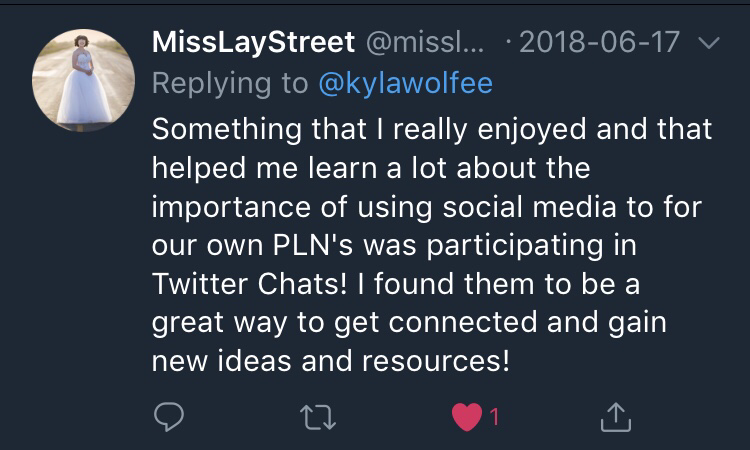 There are so many cool chats and people to connect with, it truly is an amazing resource. Blogging - One thing I was worried about throughout this entire class was blogging. I have now come to blog, but I found it VERY easy to fall behind. But as I type this I am out of the forest and still enjoy enhancing my portfolio with blogging. Digital Identity - When going through the Dangerous Forest of the Internet, I talked about the importance of thinking twice before going in, just as one should do with posting on the internet. Technology: Apps and Resources - Through this class I now have HUNDREDS of resources for every aspect of teaching. I have always found that finding good apps and resources to use have been difficult, but with feedly, twitter, and all of my peers it made it so easy. 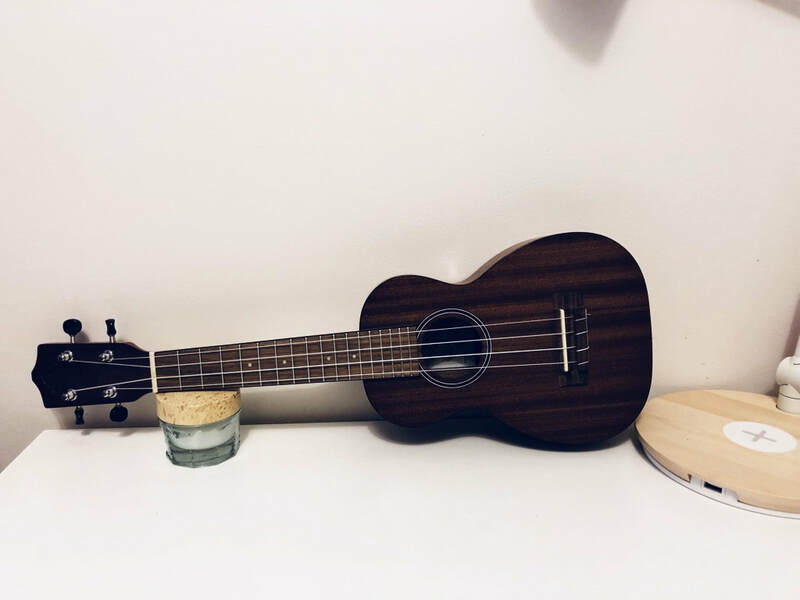 My learning Project - I am still learning how to properly play the ukulele, this project really made it a priority and I did enjoy it. 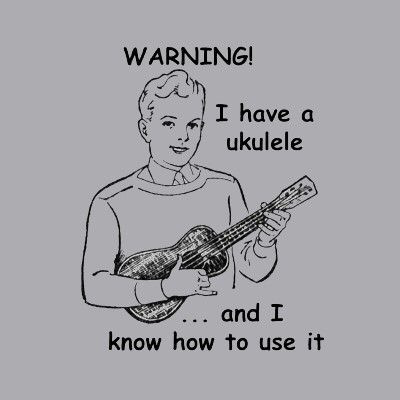 I'm not quite a ukulele star like I planned, but there's still time. Overall, this project really made me ..... have fun? That seems weird to type, but I truly did. I got over a few of my fears and create something completely different. Even though, I was stressed with how the project would turn out (which is nothing like I saw in my head... oh well), I am still pretty proud of what I could pull together. Also, how beautiful is Big Hill Springs? The perfect place to explore, besides the internet. Thanks for watching! Hope you enjoyed my parody of Dora the Explorer! So... coding... I always thought coding was something for only incredibly smart computer people. Turns out ANYONE can do coding *gasp*. I was shocked. When I seen coding on my #edtc300 classes weekly plans I truly let out a groan. I had no clue how this was going to work and didn't think I'd actually learn anything. I was very wrong. As soon as we talked about coding I realised I knew nothing about it. In case you don't either, coding is the computer programming that assigns and identifies actions. For a better explanation, check out the video below. In our class, we together created code for a few different programs, including a Star Wars game. Poor BB-8 didn't know what was coming. However we did figure different steps out and ended up having fun. The biggest thing that made coding possible for us was by using these different programs and by doing an Hour of Code on code.org. After looking through all the cool projects possible on this site, I decided to do my own Hour of Code. When doing my Hour of Code I started by finding a comfy spot on the couch and made sure to have a snack handy. I was ready for the worst. I first decided on what kind of program I wanted to choose. I decided on classic maze. To my excitement I was able to code (or play) multiple games like angry birds, a bouncy ball game, ice age game, and more. Find some of my attempts below. 1. Problem solving - "Writing, debugging and remixing your own and other people’s code are fundamentally problem-solving activities." While blogging I found myself constantly problem solving and become successful on a task. 2. (Digital) Confidence - I find that confidence is very important for ones self in many different aspects. The article compares coding to a type of literacy, stating the importance of literacy for students. "In digital (or blended) environments, this means people not only being able to decode what they see, but encode it too: reading, writing and thinking computationally instead of merely elegantly consuming what others have produced." 3. Understanding the World - "In a world where almost everything has either a digital component or is somehow digitally mediated, being able to both read and write our environment is more important than ever." This again relates to literacy. Technology has become an overpowering factor in the world and what students are interested in. This ideally will help students in the world as everything is dependent on technology and coding. Throughout my coding experience I found that coding can be fun and a valuable lesson. There is much more to coding than I ever could of thought. 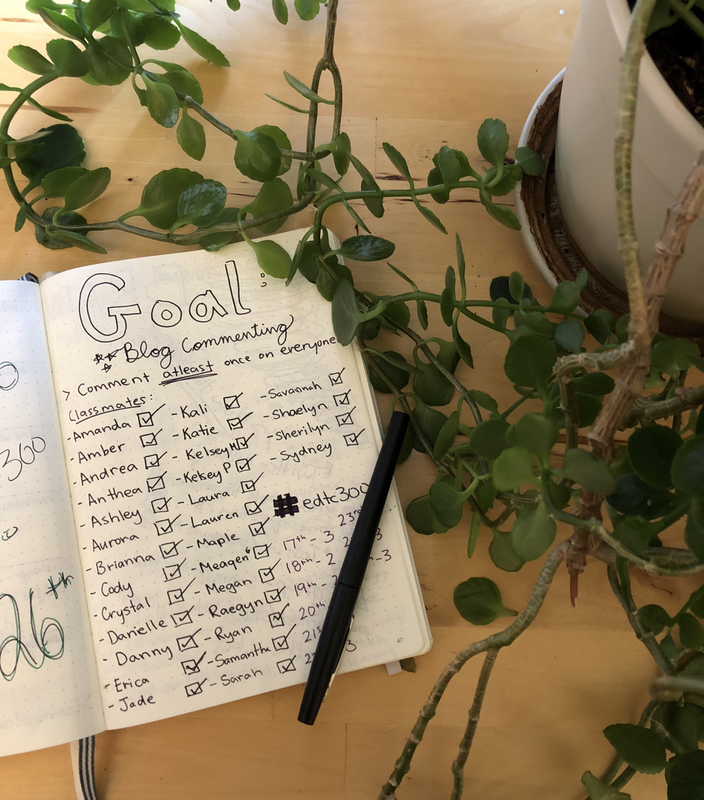 Bringing in this type of activity in the class will not only meet the needs of the curriculum, but also connect directly to the students (and the real world). I am now so excited to bring coding into my classroom and see what both the students and I can learn together. Here in education, we all know how important an individuals identity is. But here in #edtc300 we have taken it to a whole new level and been talking about another type of identity - DIGITAL IDENTITY! A persons digital identity is the information (pictures, posts, usernames, etc) about an individual on the internet. This digital identity is now a very important aspect of ones identity. Have you googled yourself lately? I have. Anything on the internet about you contributes to your digital identity. Digital identity is different than one's 'real life' identity in many ways. There is room to create a professional or personal digital identity that will perceive you in the way you want. However, your digital identity can be taken out of your hands faster than a funny dog video goes viral. There are many different stories, including the video, How one tweet can ruin your life by Jon Ronson, shows how one negative thing, either in or out of context, on the internet can drastically impact one's life. This is a reminder that the internet can be a wonderful, but scary place and more importantly... everything posted is permanent!! In one of my classes, a colleague said something that really stuck out to me. They said "think twice, post once". This is such a great lesson to bring into the classroom. Now with social media becoming second nature to so many people, we may forget that what we tweet, share, and post go directly to one's digital identity. Now people can share anything in seconds. We sometimes post before we think, which can be a bad idea. Even things we do as children, will stick with us within our digital identity through life. This is why teaching about digital identity and citizenship and how to use the internet safely is so valuable. As I am an elementary education, I want to focus not only how to bring these topics into schools in general, but specifically for young elementary students. I have found that most my experiences with technology in schools was more focused on scaring students away from using it, which obviously did not happen. It was always seen as a dangerous place and was only used for research and some videos. I was never taught about how to safely use the internet, which I believe is something that everyone should know how to do. I look at my digital identity now and see that all my privacy settings are really high so hardly anything can be found about me. This is what I knew and thought was a great thing because this is what I learned through school and older adults. Privacy was key. This year my viewpoint totally shifted. I now agree that the internet is a wonderful place that is full of tools, personal and professional connections, and even entertainment. The catch is, if one knows how to properly use it or not. There is so much that can go wrong, so fast, on the internet that is it crucial to teach our students the safe way to be using it because, lets face it, everyone uses it. Even in an elementary setting, almost all students know how to use or something about the internet. For example, my seven year old brother has been showing my grandparents new things on their iPad for years now. This is great as children and students are interested in whats online, but without knowing the possible dangers can be a problem. From beginning in the early years, there is many different activities and lessons that can be done to teach students about the permanence of the internet and having a positive footprint. As long as teachers aren't afraid of technology, there is room in the classroom to explore and learn more together in a safe way. I have attached multiple images and resources below. 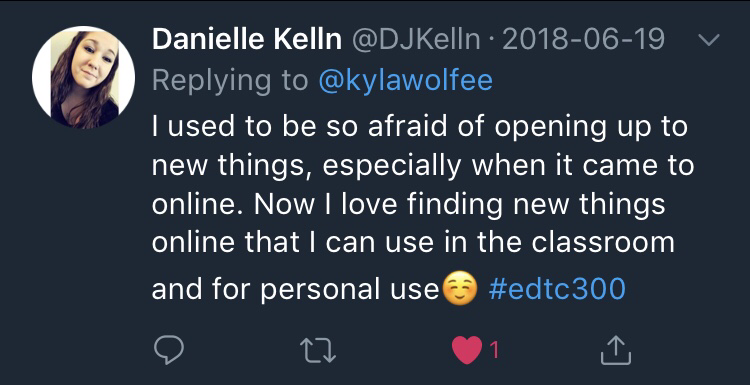 As a new teacher, I find it so helpful to include as many resources that could enhance lessons, especially about teaching about digital identity and digital citizenship. This next poster below would be a great resource to teach and display in an elementary classroom. It is child friendly language that connects to school very well. This could be a S.M.A.R.T lesson for students just beginning to learn how to use the internet for more than YouTube and social media. After looking at one's digital identity, it's now time to touch on digital citizenship. I thought these two terms were the same thing for very long, but they are not. As said above, digital identity is the information about the individual on the internet. While digital citizenship is much more than that. The citizenship aspect focuses more on the students digital identity to bring forward different type of social issues. ​One blog I found with lots of information about both digital identity and digital citizenship that is really helpful is theory.cribchronicles.com/2017/04/21/digital-identities-digital-citizenship-houston-we-have-a-problem/ if you want to learn more. 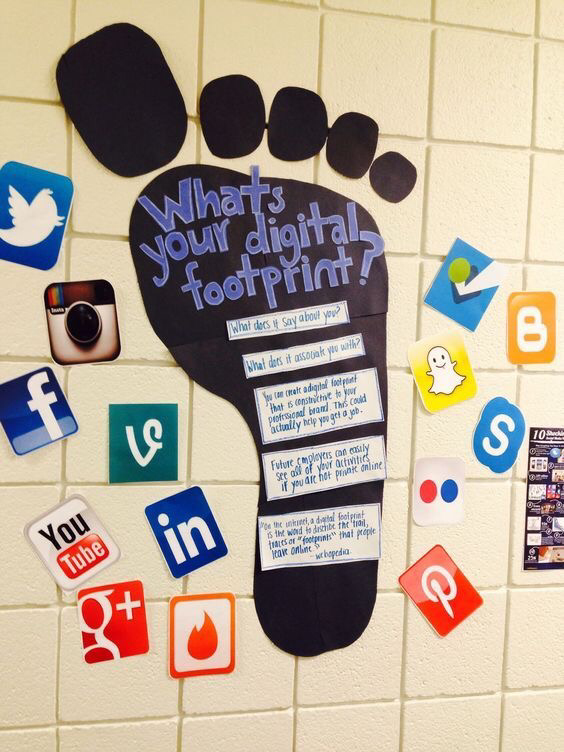 As mentioned once or twice in my #edtc300 class, there are 9 elements of digital citizenship. 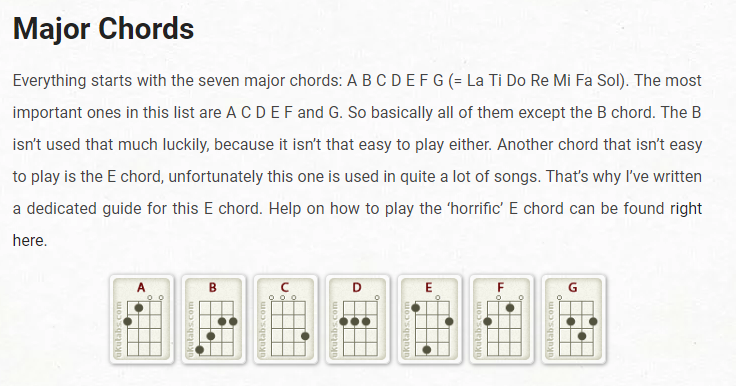 Here are some images and resources that go in more depth. After looking at more teacher based resources, here is a more child based resource that connects specifically to students in schools. I found this image on Pinterest and thought it would be good for older elementary to high school students. 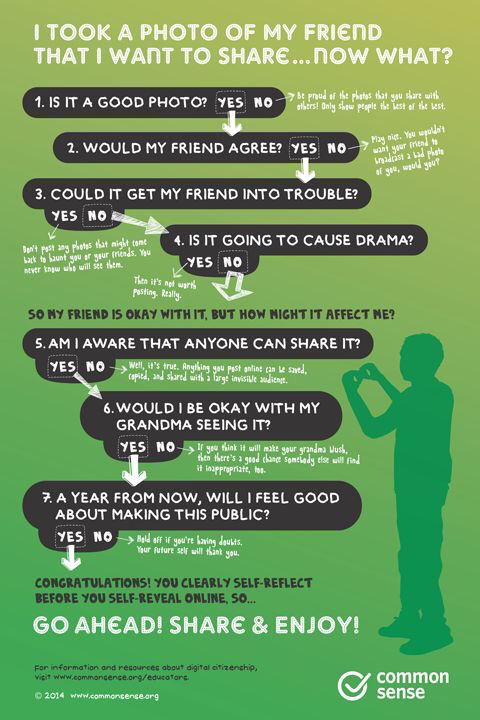 This goes through a checklist on what to do when sharing a picture of a friend. My favourite part of this checklist is at the bottom where it talks about self-reflecting before self-revealing online. Another great thing to think about before not only posting about yourself, but your friends or family as well. Passwords are a huge aspect of ones digital presence. I thought this picture was funny and would appeal to students, while still sharing an important message. Passwords need to be private and protected. Even though we just talked about how what stays on the internet anyways, creating a password and keeping personal things such as social media and email accounts is a vital aspect. Now with passwords having requirements (although sometimes ridiculous) it is much easier to create more complex passwords. ​Either way, it is important to teach our students about protecting their accounts and identity in the digital world. This week I had a conversation about bringing the internet into the classroom with Savannah. When having this conversation, we each decided to step into a different role to make this chat really come to life. I had the opportunity to take on the roll of a teacher, while Savannah took the roll of a concerned parent of a child in my class. We each expressed different concerns, opinions, and thoughts on the topic through a Facebook message conversation. We chose to use Facebook as it is very commonly used within almost all people and people who are maybe less tech savvy are still able to use it. It is also a quick and easy way to communicate. I used a random site I found through google called prankmenot.com to create this conversation, so we could avoid using our personal Facebook accounts. As our conversation was more geared towards the use and time of technology in general, we didn't talk too much about about digital identity. The teacher did reply on how the class first learnt how to use the internet in a safe way. Both Savannah and I thought that this is a typical conversation that a teacher and parent may have. Technology seems to bring in a sense of uncertainty as expressed throughout this messages and one of the conversations we are expecting when we become teachers. Lastly, check out the TED talk about blending technology into the classroom. This week in #edtc300 we got to do something I am very comfortable with - cyber sleuthing or creeping. So as I creep others on the internet lots, I decided to take this prompt a little different. I decided I wanted to creep myself, with the help of people close to me. I asked my mom and a few friends to check me out, like we weren't friends or incognito, and see what they could find. I chose to do it this way because I am constantly creeping myself and want to see what others can see about me as the internet adjusts everything you see (check out my last post to read more). I actually began seriously creeping myself during my pre-internship (2017/2018) when my grade three students decided to google my teaching partner and I. They went straight to images and to my surprise there was a very old picture of me (which was not inappropriate) but I was standing close to a male. Students then started asking me questions and I was just so shocked that this image was on google. This situation really had me thinking what else I had made available on the internet. When my mom started to creep me, she wasn't really sure to start. She asked if just googling me was good and I just encouraged her to look wherever she could - but not on Facebook as we are friends. Right away she found my twitter account and followed me "just to really make sure" that I was being appropriate and for her to do her creeping job. With googling me she thought she found a youtube account, but turns out it was not mine. Another thing she came across was pieces of my educational portfolio, which took awhile to find. According to my mom - my digital presence is approved. Next I asked a few of my friends, which all happen to be very great cyber stalkers, to find all they can on me - I was prepared for the worst. However, they all came back with very little information on me. They found my educational twitter account and my twitter profile picture on google, but not much else. By their standards - my digital presence is approved. Lastly, when I creeped myself I started by going incognito, which 100% made me feel like a spy. I began my sleuthing by googling my name followed by Regina to try get the right one. I first looked at images. The first image that came up was my current twitter profile picture and that was about it. After looking through the images on google, I decided to search up my name followed by education next. 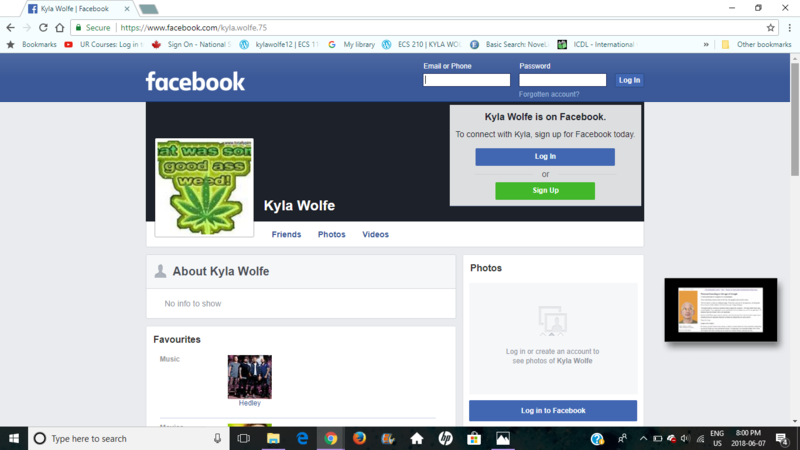 The first thing that came up was a link to Facebook profiles of people named Kyla Wolfe, so that is where I looked. So this is what came up... which is definitely not me. I scrolled down to find more profiles with the same name as me as well. Even with scrolling through others with the same name I could not find my picture and account. I know my Facebook privacy settings are very high and this truly showed that. Next I decided to check out YouTube. I know I have an account where I can subscribe, like, comment, and post videos on it. But when searching I only found old dance videos of me that I was unaware were on YouTube. Besides those few videos I couldn’t see or find my account. After basic social media checking, I dug deeper in my education presence. When searching through I found old assignments from previous Ecs classes and different pieces from my educational portfolio. I thought this was great. The only part I didn’t find easily was my educational portfolio. After some digging and adjusting my searches I did come across it, but this is not something I want to be a challenge when googling me. Overall, along with my friends and family, my online presence is approved. I would of continued to agree and think that way, until last weeks class. It appears I am an undersharer. Now my opinions have changed and I want to change my digital citizenship and presence online. When investigating others, I realized that I enjoyed being able to find basic and professional information online. This has me thinking that I need to adjust my own privacy settings to build more of a professional and personal online identity. Without this class I would of thought the more private the better. Now my opinions have completely changed and I plan on becoming more open, but still safe on the internet. If you decide to creep yourself - decide what kind of digital identity you want to be sharing with the world.